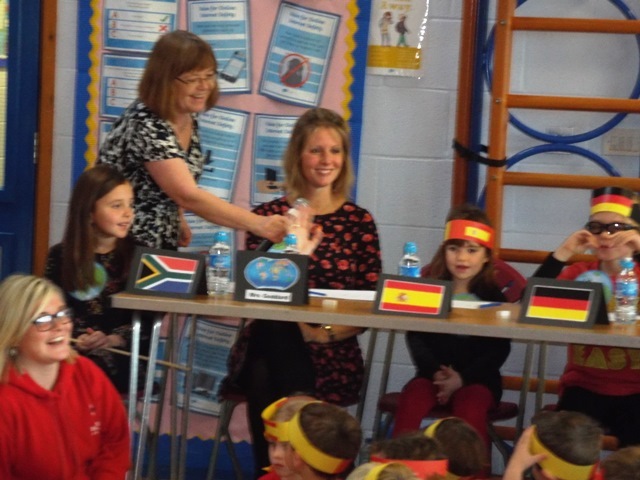 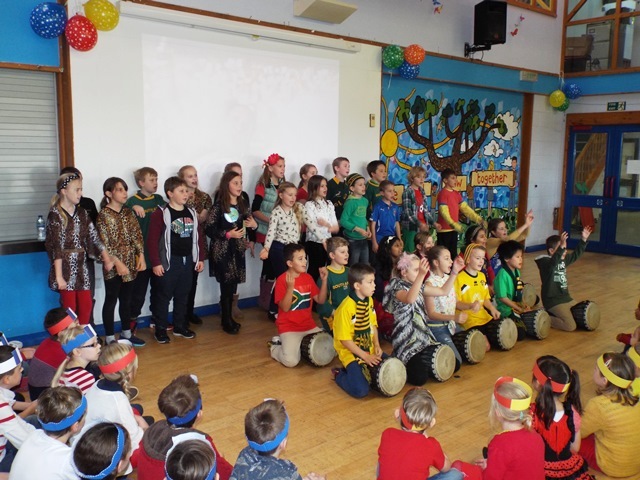 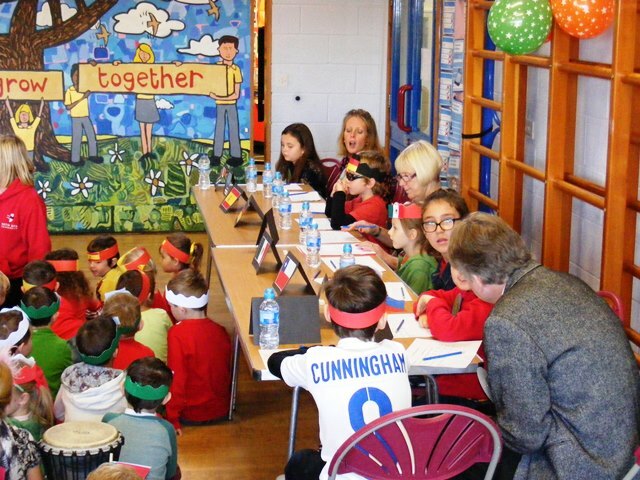 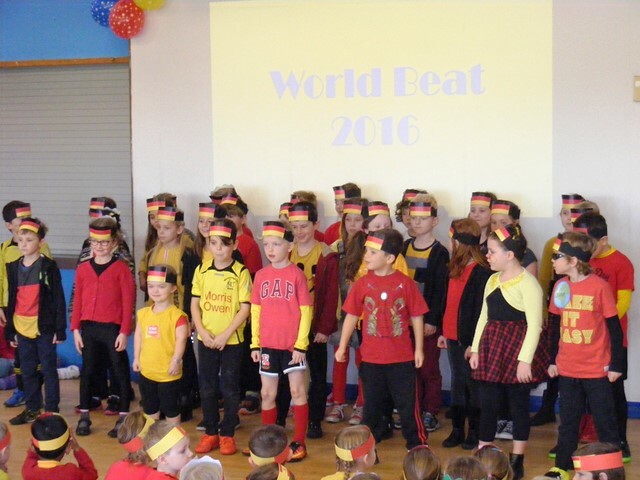 On Wednesday 16th November we held this year's World Beat. 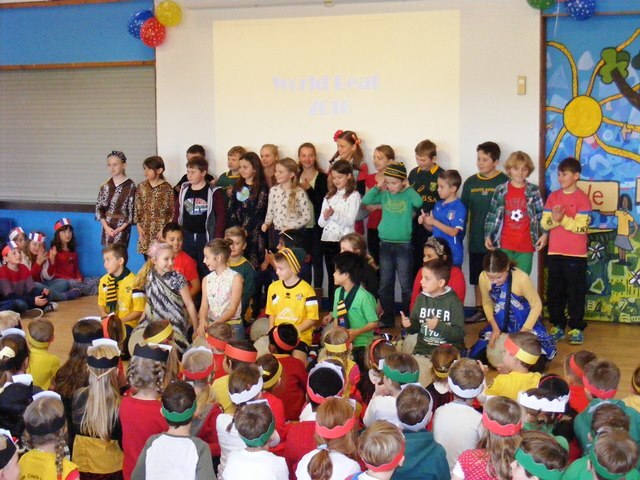 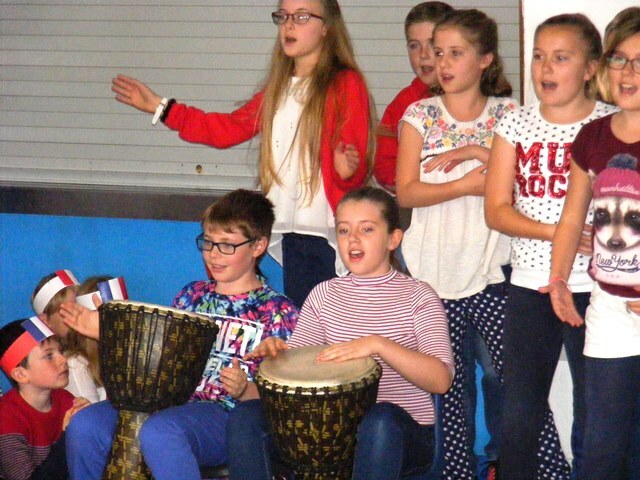 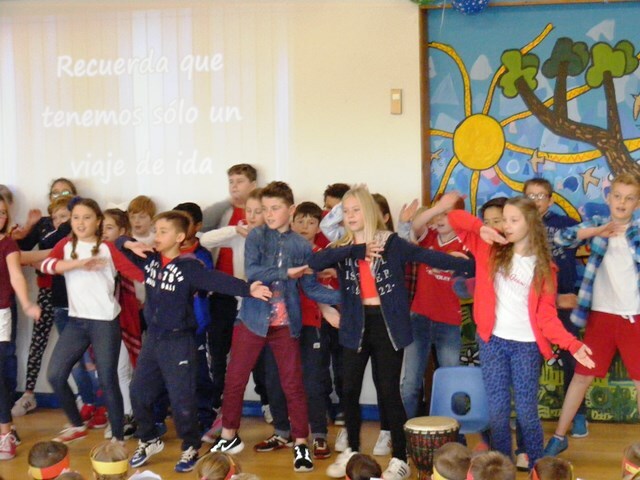 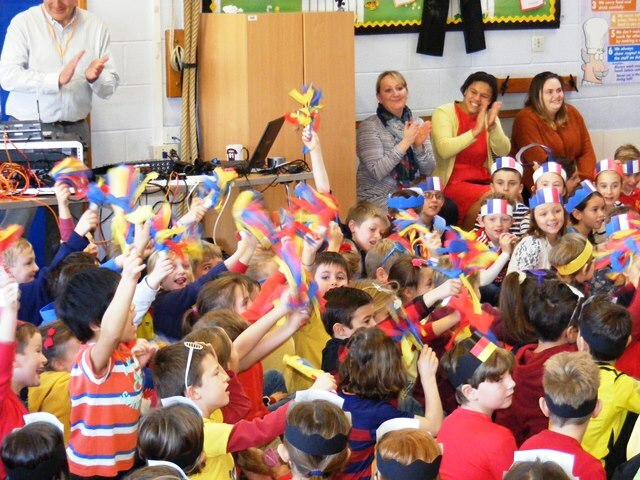 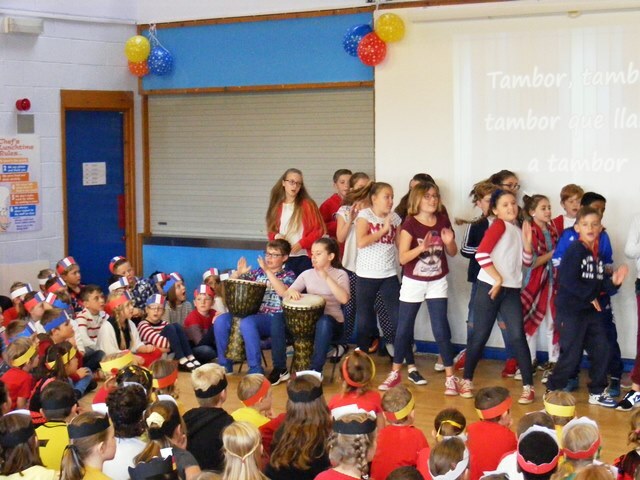 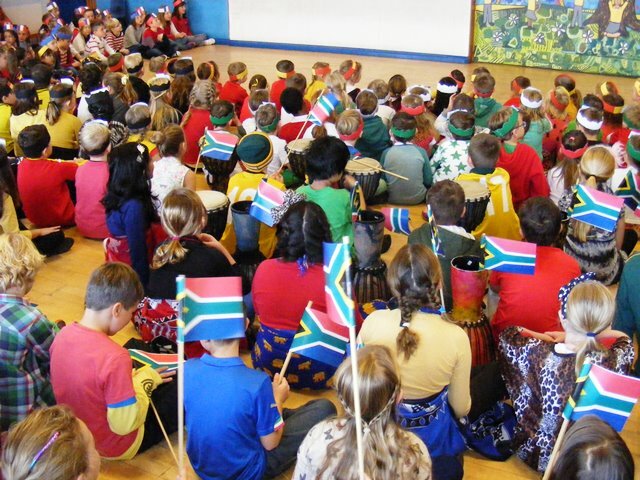 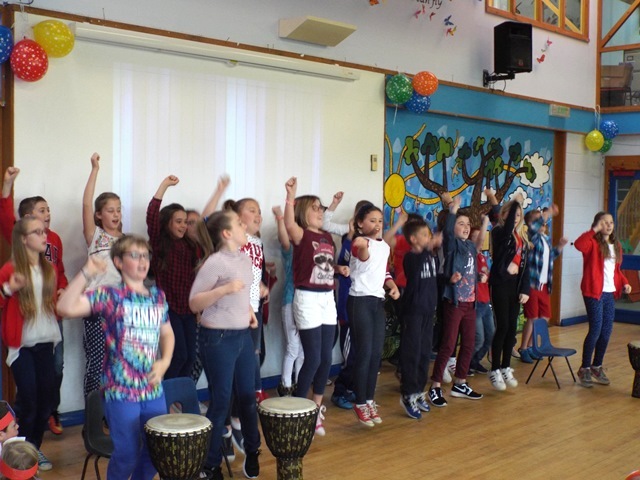 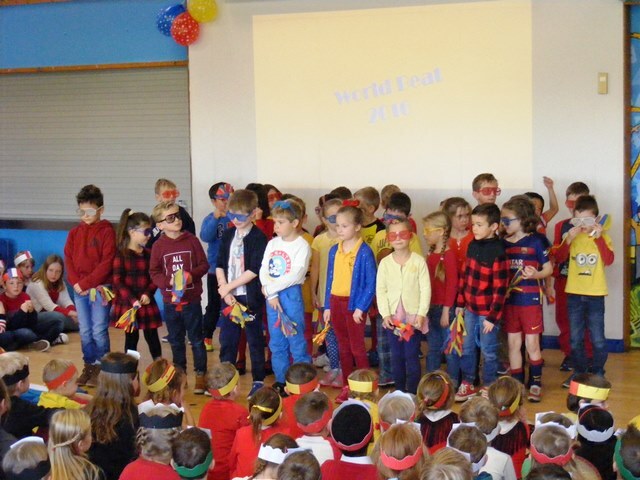 Now a major event in Wanborough School's calendar, World Beat is an opportunity for all the classes to learn and perform a song in a different language. 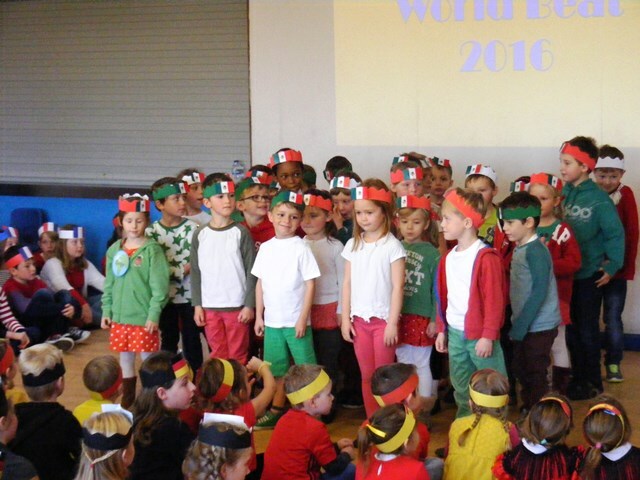 Each class appears in the colours of their nation's flag. 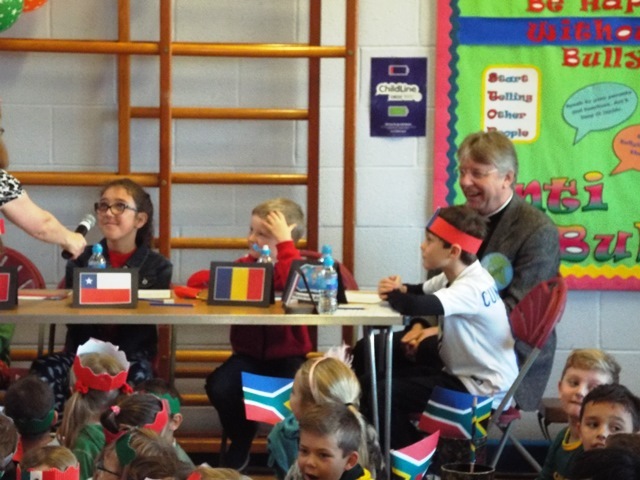 This year was the first time that South Africa, Chile, Romania and Mexico have been represented. 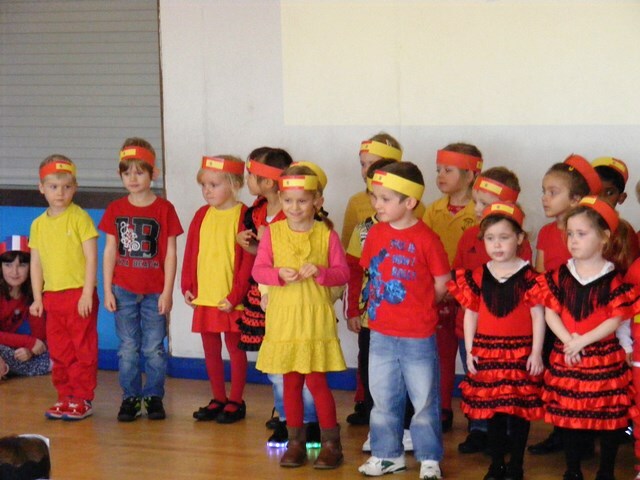 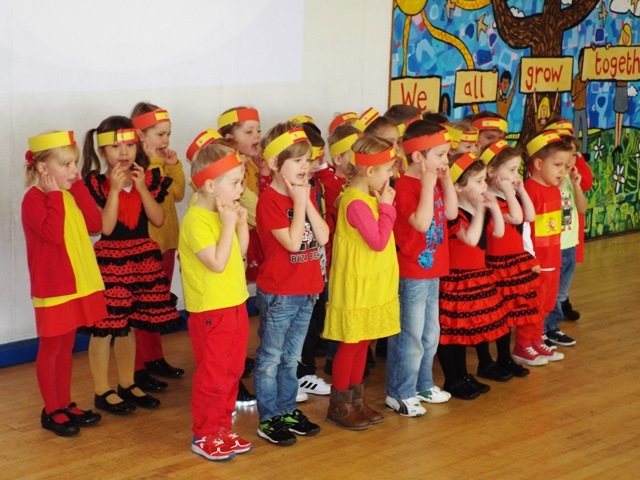 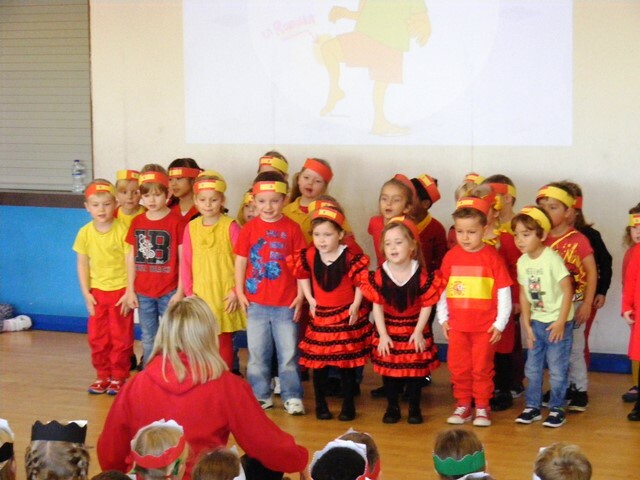 Another notable first: Acorn Class (reception) sang their song in Spanish. 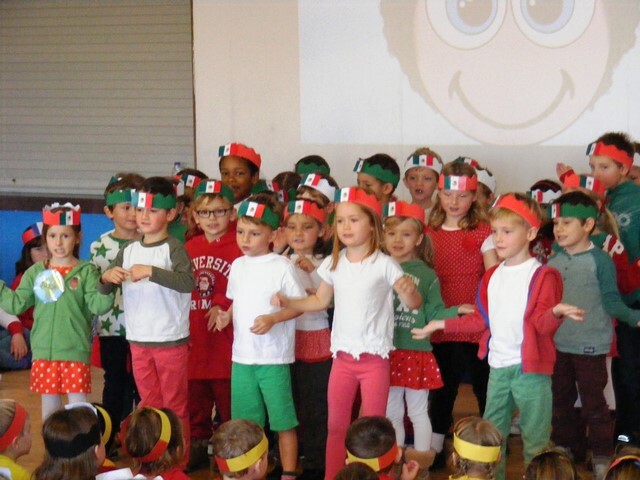 Previous reception classes have represented the UK. 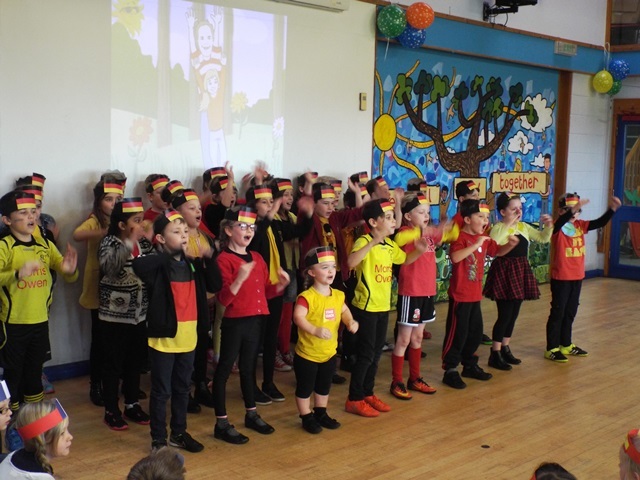 They put on an excellent performance, everyone was very impressed. 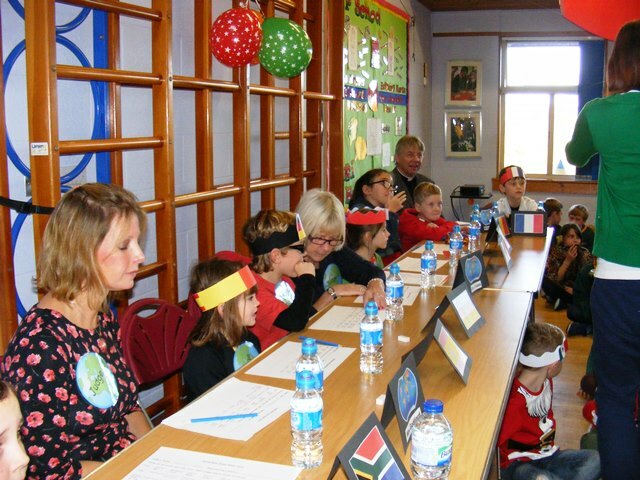 The standard all round this year was very high and the judging team had long discussions. 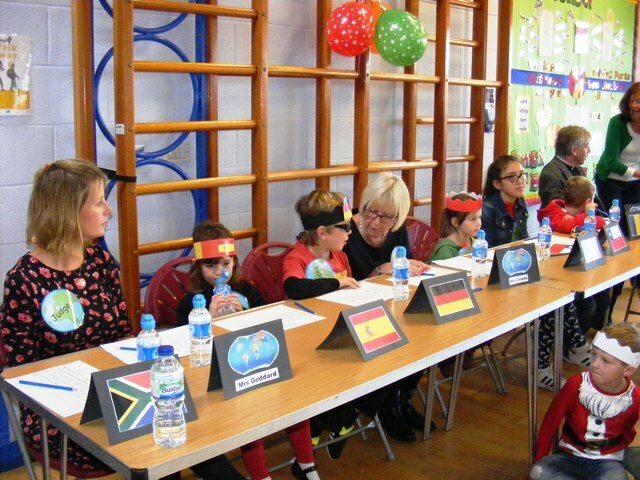 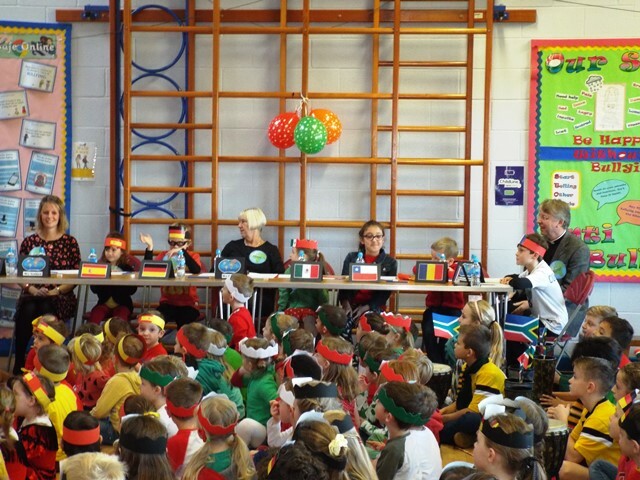 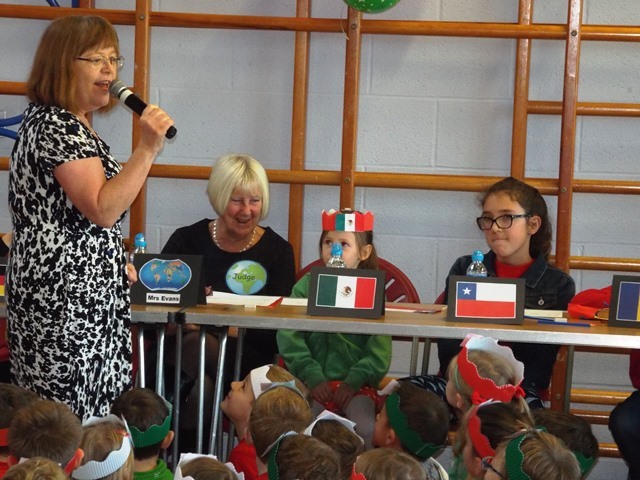 Each class had a representative as a judge, plus we had three guest judges, Mrs Evans (the school governor who takes a special interest in languages), Mrs Goddard from the school office and Rev Bill from St Andrew's Church. 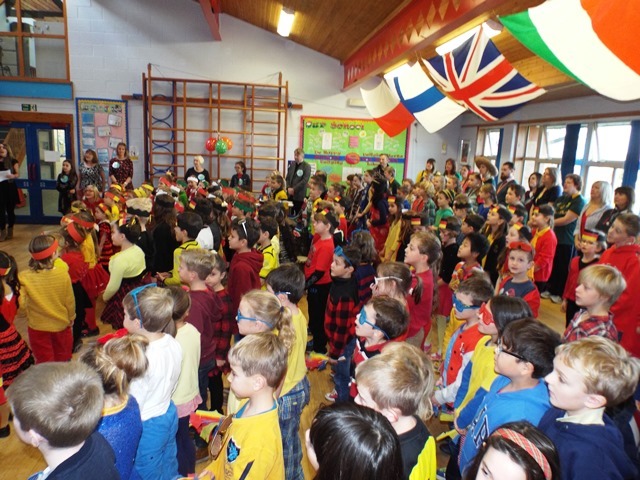 A massive thank you to all the teachers and TAs who helped the children reach their high standard and to parents for the colourful costumes. 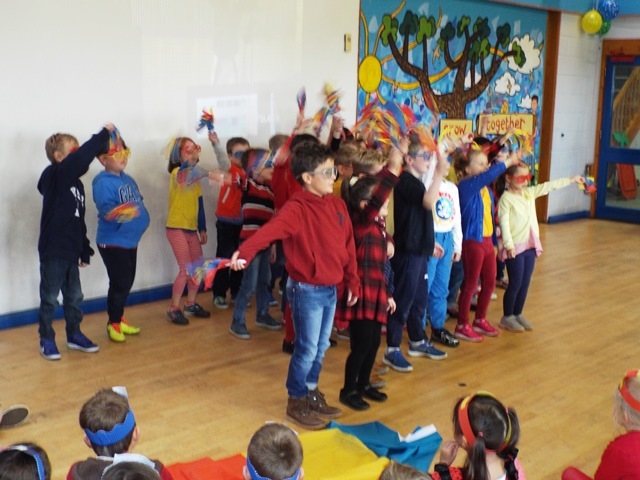 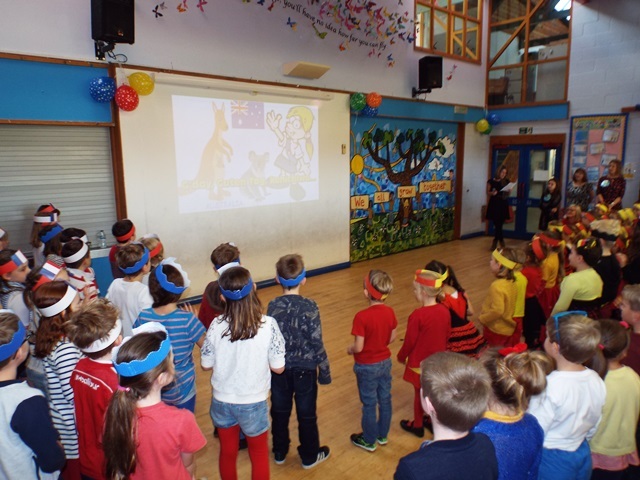 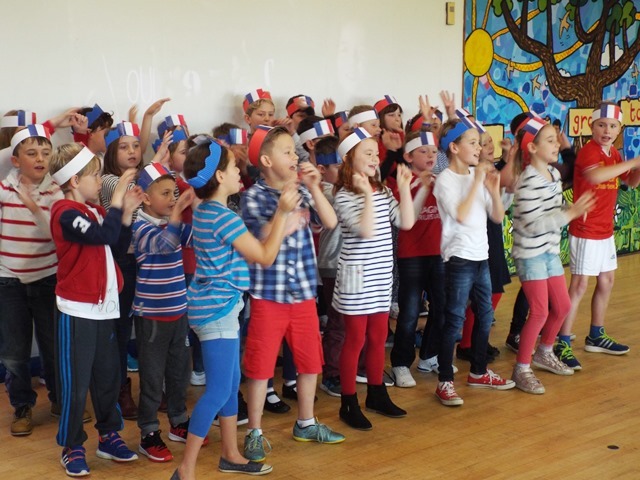 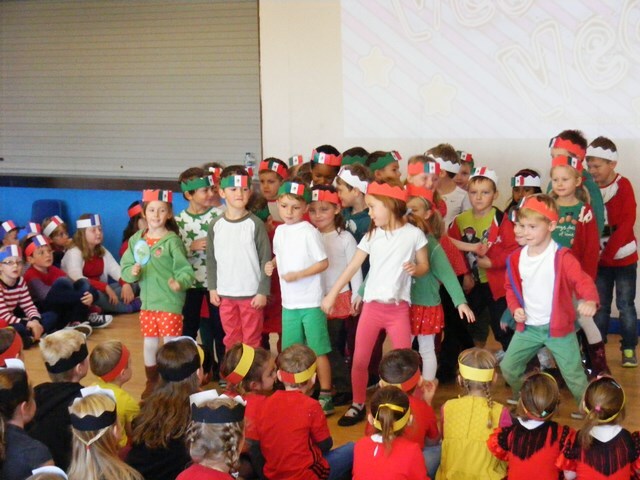 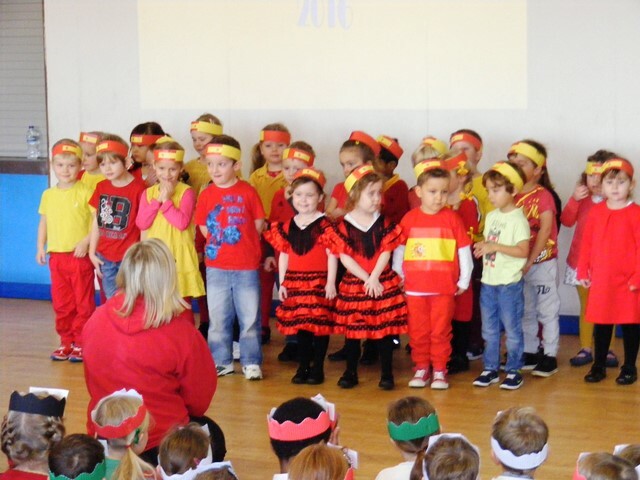 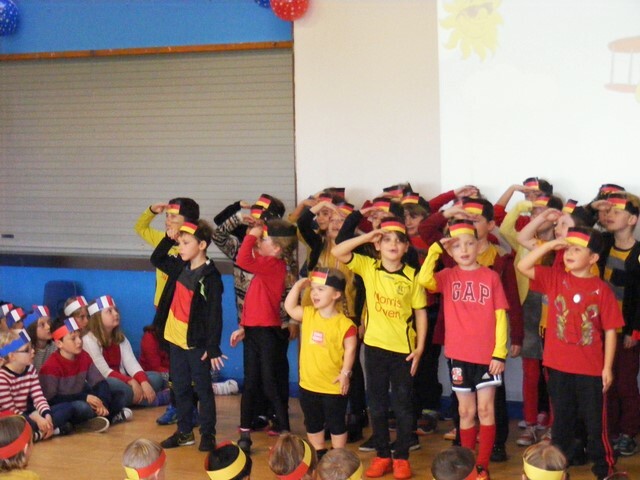 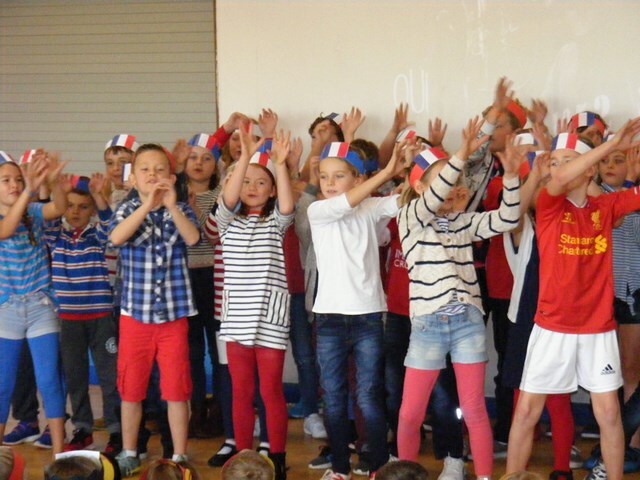 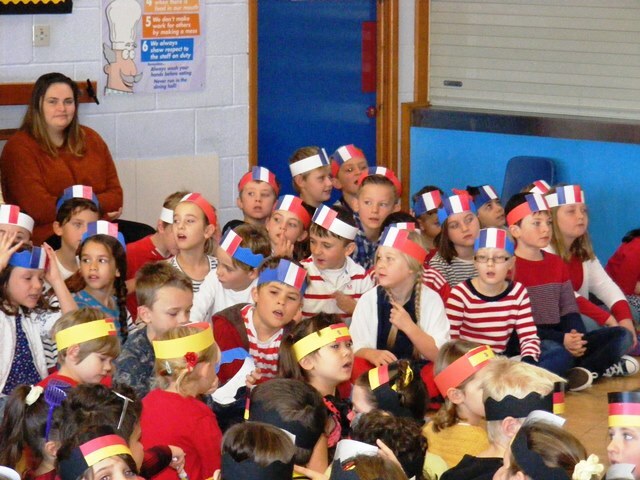 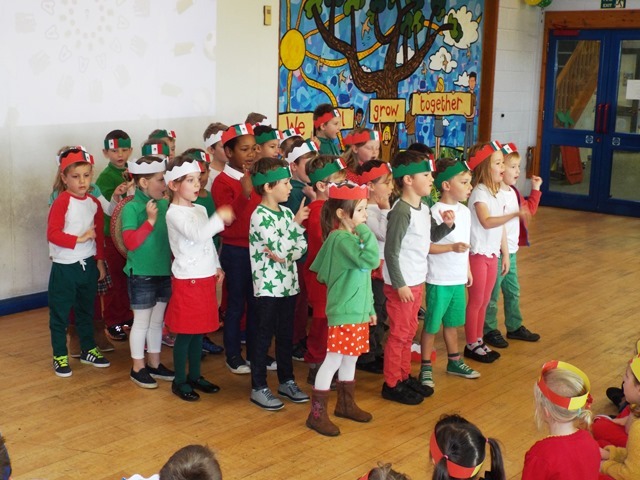 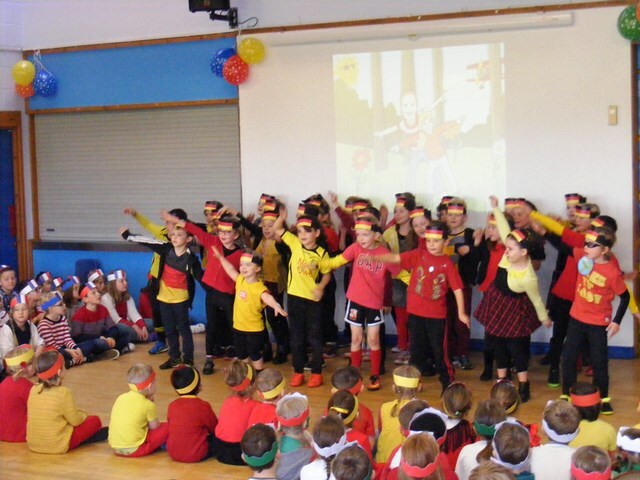 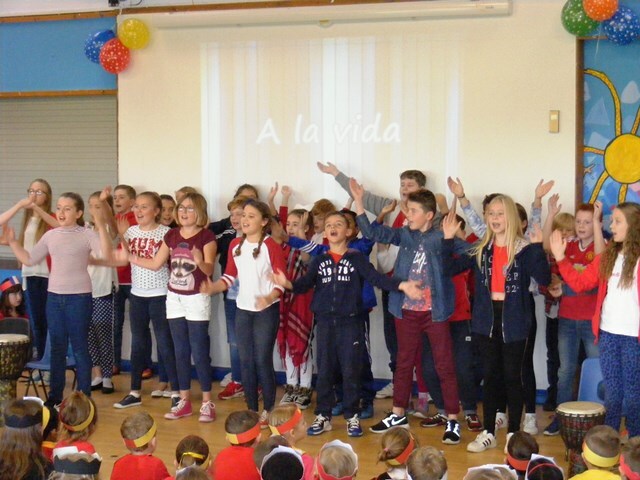 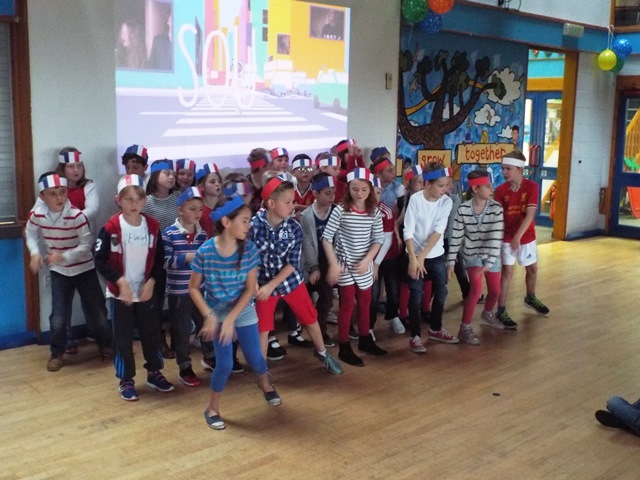 In addition to the class performances we all enjoyed singing and dancing to some of our favourite French songs and watching children from around the World performing 'Celebration'. 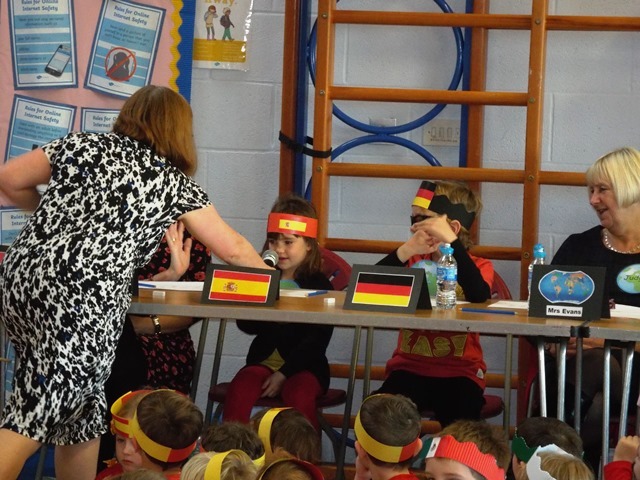 The event was compèred in great style by Mrs Wood, with technical support from Mr Woodman. 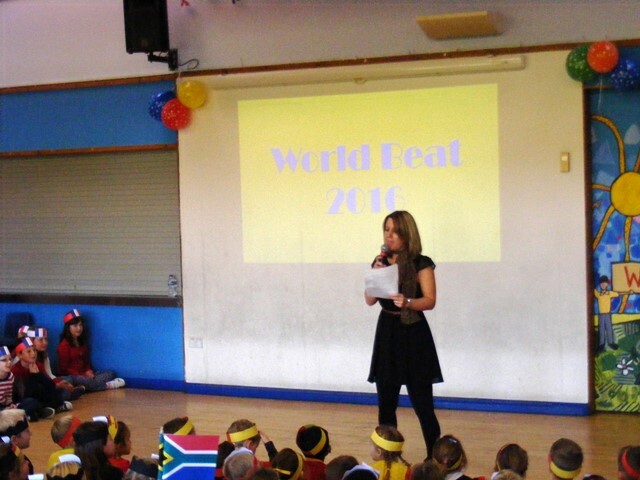 Biggest thanks of all must go to Mrs Hook, who organised the whole event. 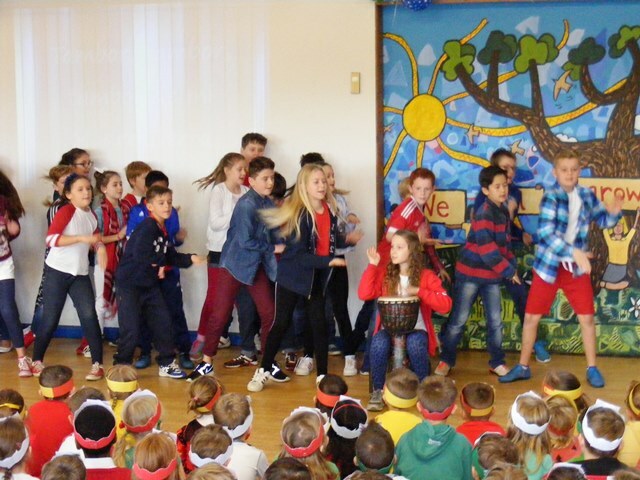 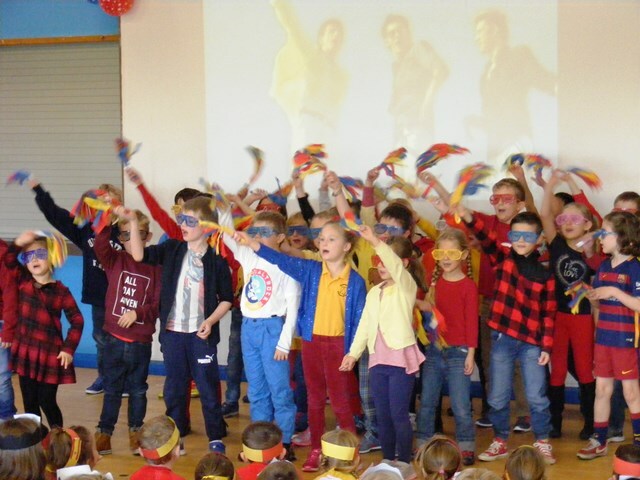 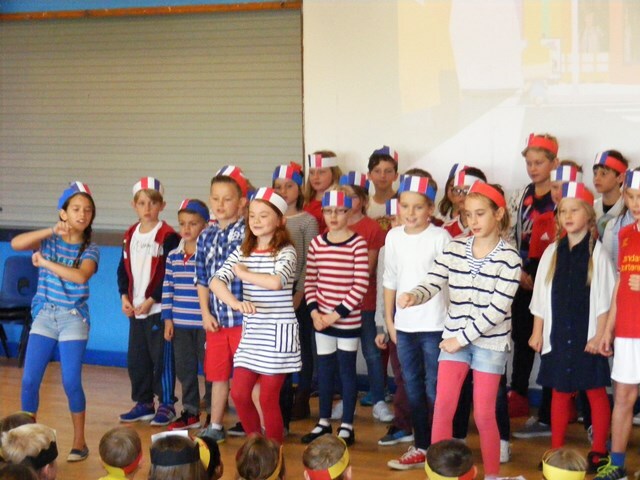 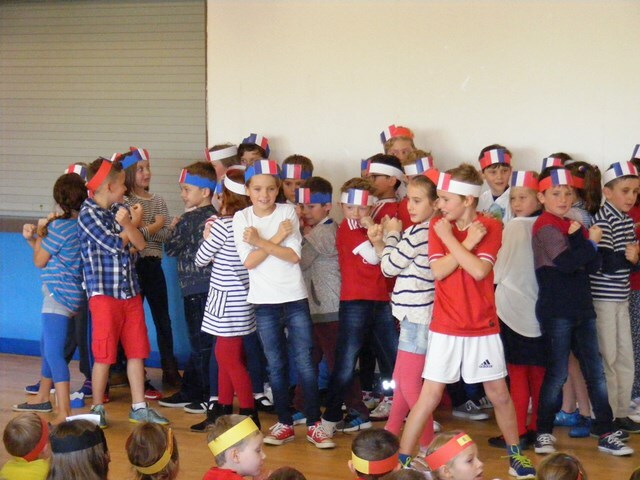 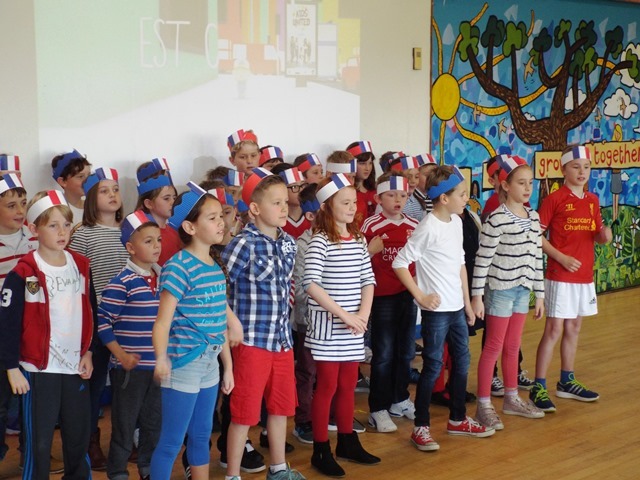 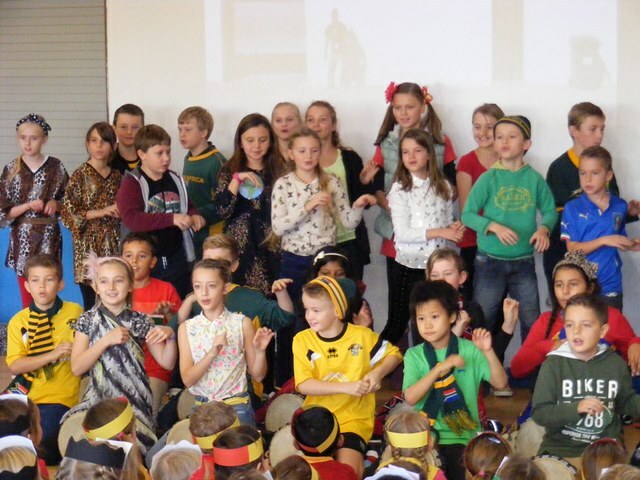 The winning song, 'Sur Ma Route', was sung in French by Willow Class (year 4).